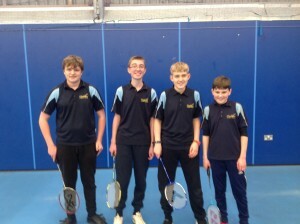 A very well done to the boys and girls from Clyst Vale Academy who travelled to Paignton for the County Badminton Finals on Wednesday. Four teams attended, two sets of boys from across Key Stage 3, one set of girls from Key Stage 3 and a team of boys from Key Stage 4. The younger boys played 7 matches each involving 5 games so plenty of badminton to keep them busy. The opposition ranged from good club players to highly ranked England players. The Clyst Vale KS3 Boys B team struggled at times but leaned a great deal from the experience. Callum who led the team got a number of points off one of the England players and Michael also did well in his singles. Nick and Jack scrapped for every point and gathered some doubles wins across the day. The Clyst Vale boys A team captained by Max were very strong coming out 3rd in the tournament. 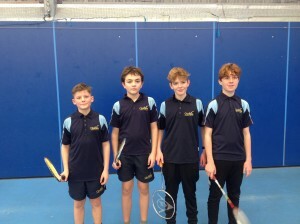 Jacob played with power and agility in his singles and Marlon from Year 7 stepped up to partner Max in a number of winning doubles games. Will showed no signs of rustiness and formed great partnerships with both Jacob and Marlon. The Key Stage 3 girls are a well worked group and started strongly. 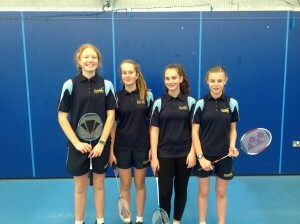 Lara and Emily Pattison were excellent throughout the day in their singles and both Emily Clayton and Summer. The girls finished 4th in a strong tournament ahead of other talented schools. The older boys also started strongly and Edwin was imperious in his skill, power and tactical play. Arguably the best single male player there, Edwin, won all but one of his singles and his efforts were complimented by an ever improving Will. With increased agility Will is no doubt the number one ranked player for 2020! Joe and Olly were full of tricks and Joe’s work at the net was excellent. Olly impressed with some lovely drop shots from back court as well as super defence. It was 4th overall for the Key Stage 4 boys, but ultimately there were only a few points between 1st and 4th in this group.